If you like things a little bit different when it comes to beauty products, then Salèya might be a good place for you to check out- inspired by her North African routes, Salèya creates traditional and 100% natural products of spa quality for both salons and consumers. The products are based on 'rituals of the hammam' and many have been in practise for hundreds of years, with twists on product ideas that are familiar to us, and concepts that might be new to us such as this Shaving Styptic. The ingredients are sourced from North African countries and produced in France, but are dispatched from the UK with reasonable charges and next day delivery available. 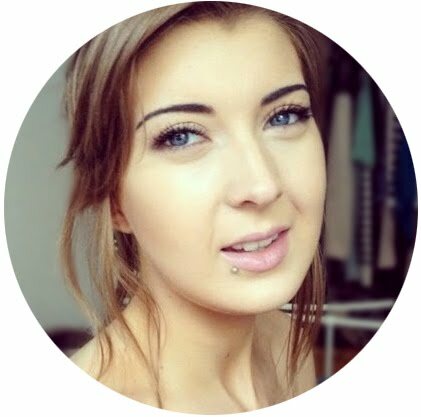 I was sent four products to test out, and I've divided them into two posts; there's overlap in some of these traditional products as many can be used on the face, body and hair too, but the Rhassoul Clay and Powder Kohl Eyeliner are the two that I've mainly been using on my face (as you might expect from an eyeliner!). I'm a big fan of clay masks and the Organic Rhassoul Clay Powder (£8.99) really intrigued me, and with good reason- this clay can be used on the face, body, hair, and alsoeven as a mild body deodorant. 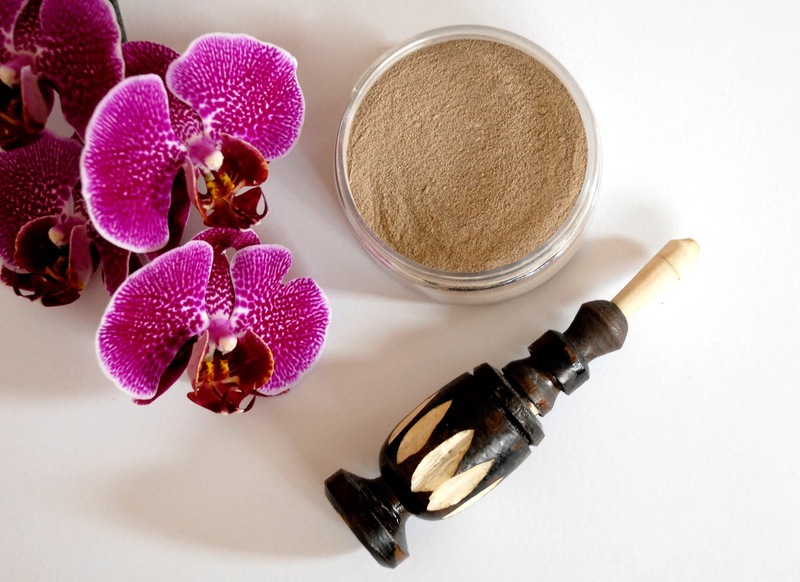 For the face, the scentless 100% natural mineral clay powder is mixed with water for oily skin, or water and Argan Oil for dry skin, and used as either a wash or left to set as a mask. One of the reasons I really like this product is that because the mask created is thin in texture it dries so quickly, and you don't have to wait around for ages for it to set on the face. I find if I use this product for a few minutes in the evening then any threatening blemishes are brought to the surface by the next morning, which is great for someone with skin as blemish-prone as mine. As it imparts minerals such as magnesium, potassium and calcium as well as removing oil and impurities, the clay leaves skin really soft and smooth, and I haven't had any problems with it drying it out my skin no matter how long I've left it on for. I've also been dusting the clay dry on my skin to absorb excess oil on no makeup days as it can tend to get too shiny if I don't give it any attention and used in this way it feels silky and not at all gritty. Used in the hair, the clay adds volume and texture, and on the body it cleanses oils and smooths the skin which I find especially useful for my neck and shoulders. I've also tried adding the clay to cream and liquid facial cleansers if I feel they need a bit of oomph which definitely makes them more effective and adds a little bit of an exfoliating texture. My only gripe about this product is about the packaging, and it isn't really much of a problem, but because the label on the pot lid is paper rather than plastic the ink started to run once it had one drop of water on it. This obviously doesn't affect the product inside, but it's the reason I haven't shown the product labelling in the photos above. I've been using this pot a few times a week for the last couple of months and I haven't even used a quarter of it so at £8.99 for 100g this will make a really long lasting product. It's really a must have for oily skin. 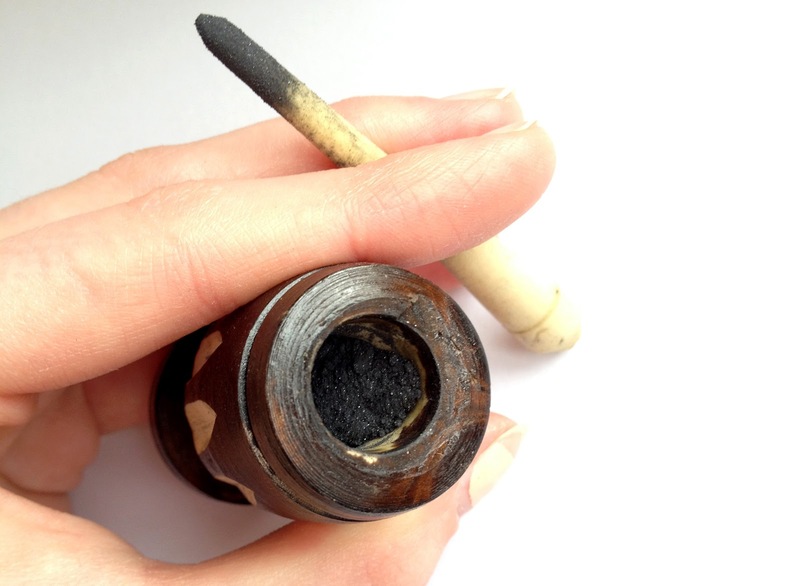 The Traditional Kohl Eyeliner (£15) is one of the most interesting beauty products I've ever seen and it isn't easy to tell what it is until you take off the top of the hand carved wooden bottle. Traditional Kohl has been used in the Middle East and North Africa for hundreds of years and is made from ground natural minerals, which give it a shiny glint in the bottle but make it matte black on the eyes. I've never seen eyeliner applied with a stick before, but it's surprisingly easy- the stick is soaked in olive oil overnight before the first use and is then dipped into the powder before being run sideways on the inner rims of the eyes. This doesn't hurt at all (like I worried it might) and I find it much quicker than a pencil trying to get in there at the lashline. Despite the excess initially collecting in the inner corners, once this is wiped away the kohl lasts hours on the waterline and tightline. When used outside the eyes you'll need a soft brush on hand to wipe away the fall out as it's a loose powder, but it lasts even longer on the skin (you can view a really helpful video tutorial by Salèya herself showing these methods here). This makes such a brilliant addition to any makeup collection (especially if you find lining inside the eye difficult) and would also make a really amazingly unusual gift for any beauty lover friends! I would really recommend having a look not just at the above products but also at the Salèya range as a whole as there's such a interesting collection of traditional products, and they would make the best gifts (don't forget Mother's Day is coming up!). In my next post I'll be talking about the two products I've been using on my body and hair, including organic Black Olive Soap! The eyeliner looks so interesting!! Great post!! I can't imagine using this range of products but it certainly does look interesting haha!